If you are interested in opening your own Virginia driver improvement clinic, DTA can help you achieve your goal. We have been serving Virginia drivers with DMV approved defensive driving courses for nearly two decades. DTA provides full support and training for our Virginia driver improvement agencies using certified DTA instructors. 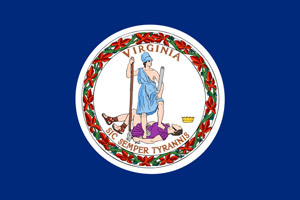 All of our Virginia programs are approved by the Virginia DMV and accepted by Virginia traffic courts. Driver Improvement – 8-hour DMV / court approved course for ticket dismissal, license suspension / revocation, safe driving points, and insurance discount. On-site final exam required. As a DTA Virginia online course affiliate, we supply the course and you supply the customers. We track your student referrals and pay you a monthly commission check for Virginia students who complete the online driver improvement course. If you already own or maintain your own website, we can supply you with links to place on your site. If you need a site built, no problem! We can build you a professional traffic school website at a very reasonable rate. Click here or call 1-800-558-9887 to request a startup kit and learn more about our Virginia online affiliate program. Driver Improvement – 8-hour DMV / court approved course for ticket dismissal, license suspension / revocation, safe driving points, and insurance discount. Drivers under the age of 20 must take this course instead of an online course. Commercial Motor Vehicle (CMV) Course – Ticket dismissal course required for drivers who hold a commercial driver license (CDL). You can't beat DTA's low training and royalty fees for Virginia classroom driver improvement. We make it easy for you to start your own driver improvement clinic by providing professional support and guidance. With DTA, you won't pay franchise fees or annual lease fees. Our royalty rate is highly competitive. The royalty fee is paid whenever you order your course completion certificates from us. We charge a low one-time lease fee for the Program for Driver Improvement DVD, which is required to teach all DTA courses. You will find our instructor training fees to be quite reasonable as well. Click here or call 1-800-558-9887 to request a startup kit and learn more about our Virginia classroom affiliate program. Use the resource area to see activity for students you have referred to DTA courses.